A bird conservationist in northeastern China spends most of his life living in a bus to protect rare wetland birds. Fu Jianguo is the type of person who would spend his life in complete silence if others didn’t initiate conversations. In his 30-year career as a bird conservationist, the 55-year-old has gotten used to loneliness. Fu patrols Zhalong Wetland in northeastern China’s Heilongjiang province, where rare birds like the red-crowned crane are still abundant. To monitor the birds day and night, he has swapped the comfort of a warm home for an old bus insulated with sheets of foam and equipped with a small wood-fired stove. Temperatures here can drop as low as minus 36 degrees Celsius. To keep from freezing, Fu burns straw. 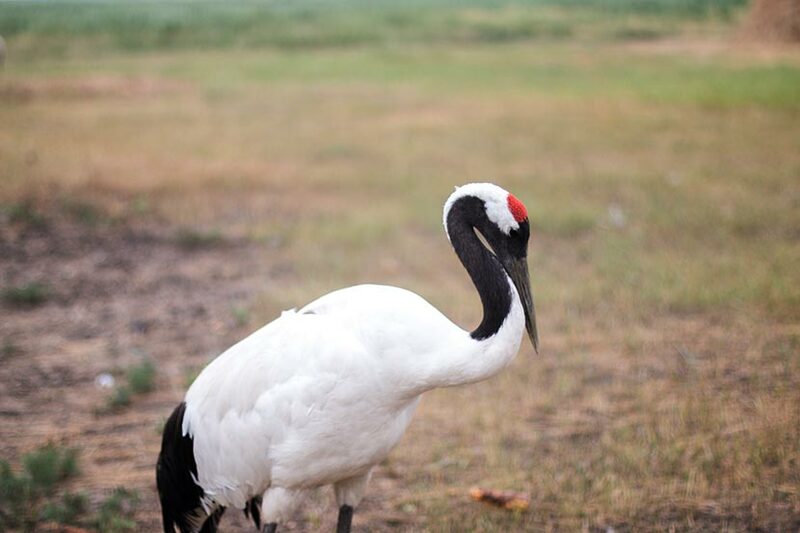 The red-crowned crane is Fu’s favorite bird. “You can't image how intelligent they are. 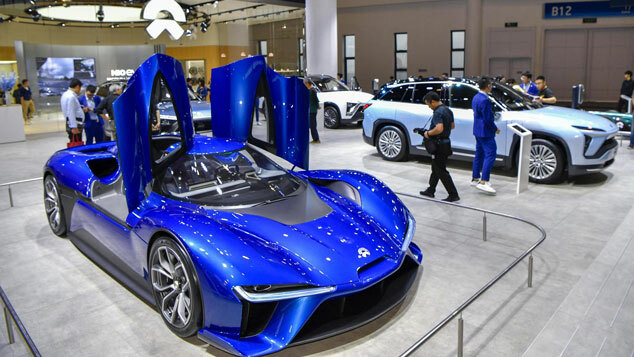 They can even recognize your patrol car and greet you when you pass by,” said Fu during one of his patrols for the Daqing Wildlife Conservation Society, which pays him 1,500 yuan ($215) a month. He’s one of their most dedicated conservationists. While on patrol, Fu keeps an eye out for poachers who steal the birds’ eggs, taking only occasional breaks to listen to the radio and voluntarily working overtime almost every day. Poachers use poison, guns, nets, and snares to kill and catch adult cranes, which can be sold on the the black market. A single red-crowned crane egg can fetch as much as 8,000 yuan, Fu said. Fu alerts the forestry police when he finds a poacher, but as he is not allowed to carry a weapon, he has little means of making the culprit stay. Sometimes, however, the patrols themselves are more dangerous than run-ins with humans. Fewer than 2,000 red-crowned cranes remain in the world, according to the International Crane Foundation, which led the International Union for Conservation of Nature to list them as endangered in 2012. 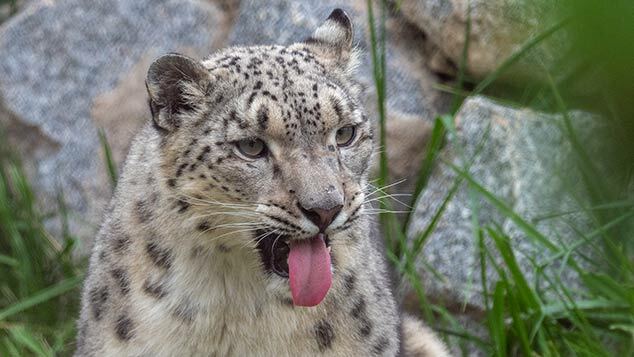 China is home to the species’ most important habitats: Filled with insects and crustaceans, the wetlands of Heilongjiang provide a perfect feeding ground during breeding season, while the coastal areas of eastern China’s Jiangsu province offer a milder home in the winter. Fu said that he first fell for the birds when he was a child and used to accompany his father to work at a wildlife-protection station. 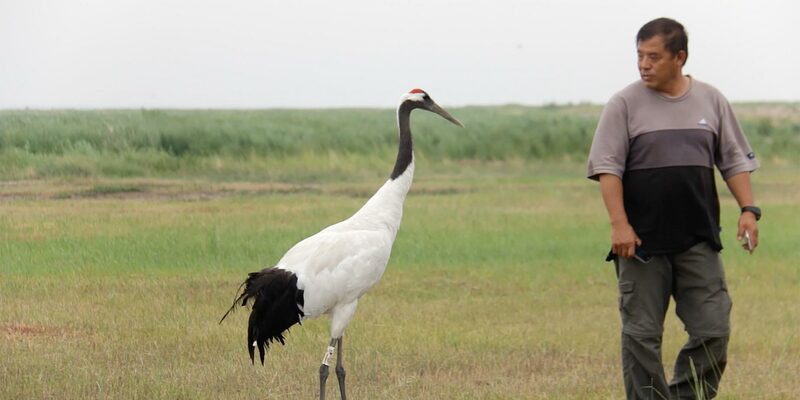 Today, he not only protects the bird’s eggs but also saves about five crane families from starvation each winter. Female cranes usually lay one or two eggs per year, and if they are stolen by poachers, the birds will lay new ones. However, chicks that hatch later than their peers are too small and weak to make the long journey south for the winter. Usually, it takes three months for the chicks to become capable fliers. But once the wetlands freeze, sustenance is scarce. “They will die of starvation if we don’t provide them food,” said Fu, adding that adults who stay behind with their chicks are also at risk. When Fu finds birds in need of care, he takes them to a rescue station he built near his bus. He will feed them until the warmer spring temperatures melt the ice and Heilongjiang’s wetlands once again offer abundant sources of food. When fall rolls around again, these crane families will be able to migrate south along with their peers. But one avian couple that Fu rescued five years ago has refused to leave. All year long, they remain in Lindian Wetland, another area under Fu’s protection. Fu, they know, will come and feed them corn and fish in the winter. “I don’t know why they haven’t left, but as long as they are here, I’ll take care of them,” he said. In fact, the biggest threat to cranes isn’t poaching but rather the destruction of their habitats. Between 2000 and 2008, wetlands in Heilongjiang decreased in size by 1,325 square kilometers, more than the total area of Hong Kong. The wetlands could easily be turned into economically viable land, by using it either for agriculture or industry, said Xie Yan, China country program director for the Wildlife Conservation Society. “At the same time, the wetlands hold one of the highest densities of wildlife,” Xie said. Three of eight global bird-migration routes pass through China, and 33 endangered bird species depend on the nation’s coastal wetlands, where they forage, build nests, and breed. 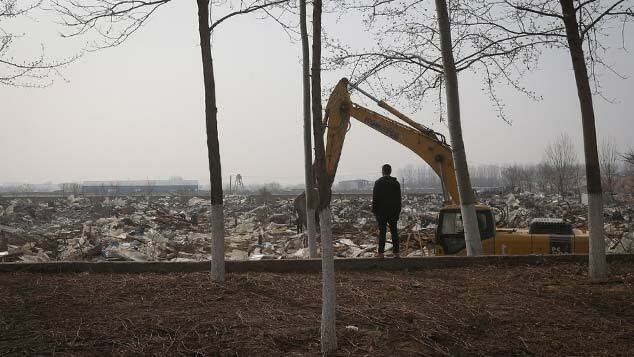 “There is no room for migratory birds; everywhere is being reclaimed,” said Lin Qingxian, assistant professor at Xiamen University’s College of the Environment and Ecology. A decrease in the populations of such birds would have a significant impact on the larger environment, as they also help to spread seeds, Xie said. And while real estate developers care little about the wetlands and the cranes they harbor, Fu cares too much — at least, according to his wife. His affection for the cranes has caused friction at home, Fu said. Fu spends as many as 45 days at a time living in his bus, and then returns home to his wife and adult son for a few days. During these short stints at home, he tries to make up for his long absences by doing all of the household chores and cooking meals for his wife. 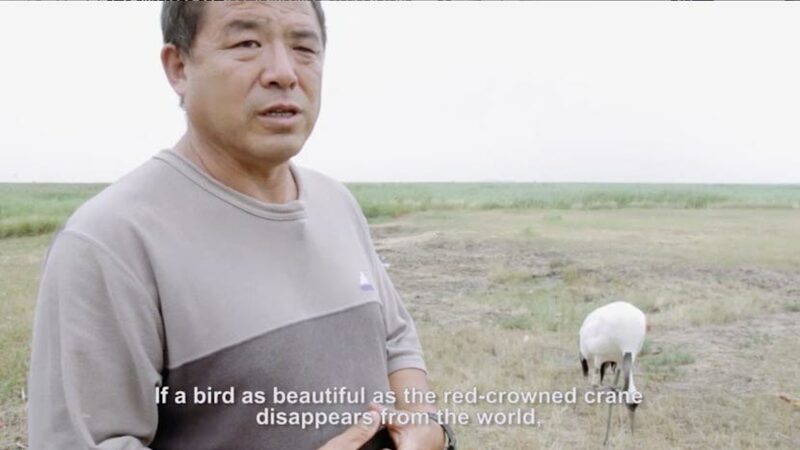 Even though his family doesn't really understand his love of birds, Fu said that he cannot turn his back on the creatures, as they need his protection. The cranes and their fellow wetland animals have gained other champions, too. The Chinese government is making efforts to support wetland protection and has invested a total of 21.9 billion yuan into wetland restoration in addition to launching a range of coastal restoration projects. 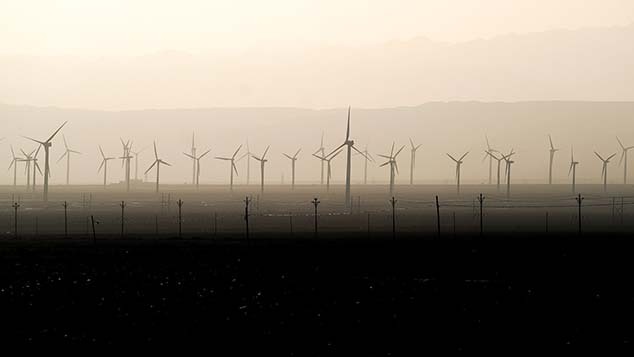 But as long as reclamation initiatives aimed at turning natural areas into profitable land loom on the horizon, birds and other wildlife will continue to lose their homes. 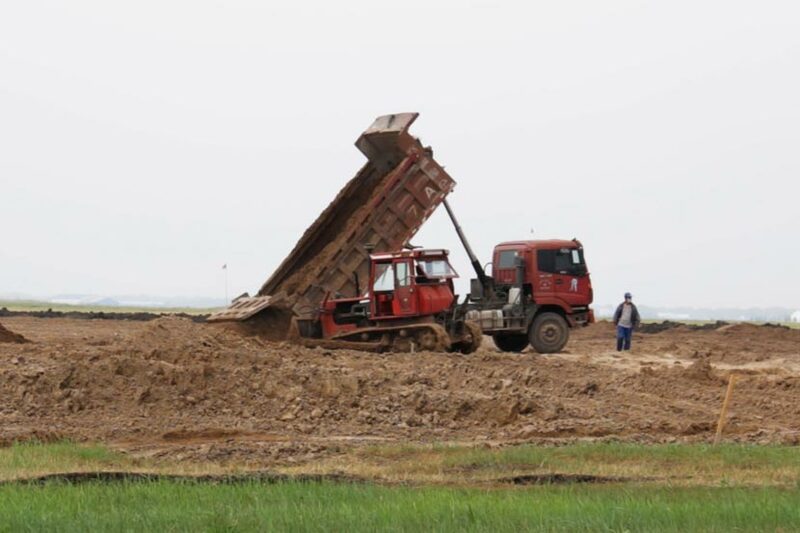 Over the years, Fu has realized that land development is a threat not just to endangered birds like the red-crowned crane but also to the species’ close relatives, like the Siberian and the white-naped cranes. Protecting the birds from poachers is one thing, but habitat loss is a phenomenon that Fu can’t fight alone. Near the wetland where Fu saved the crane couple five years ago, a reclamation project that will see the cranes’ habitat replaced with a farms. “There’s only so much one person can do,” Fu said.